I hope you all enjoyed midterm, I certainly did. I took the whole break to relax, and I didn’t do any school or blog work whatsoever, so I am quite proud of myself for switching off! I decided to get out of Dublin for the few days for a change of scenery. I split my time off between Galway and Ennis, and had a really lovely time, sleeping, lunching and relaxing! Examine the letter Padraic Pearse wrote to his mother. Write her response. Write a letter to the rebels- how did they feel during the Rising? How did they feel about the lack of support from the public? Pretend you are trapped in the GPO with the rebels. Write about your experience. Pretend you are one of the rebels during the Rising. Explain why you decided to take part in the fight. Write a recount of the Easter Rising. Write a persuasive letter from Pearse to the volunteers persuading them to take part in the Rising. A class debate based on whether the Rising should have gone ahead or not, and its importance in Irish history. Create a timeline based on the events of the 1916 Rising. Write a fact file for each of the leaders of the Rising. Make a mini film of the events of the Rising. Construction: construct the GPO and other buildings which were used during the Rising. Drawing: Design a poster Pearse may have used urging people to support the Rising. They are related to my novel but there are also general ideas, further resources and photos that might be helpful. 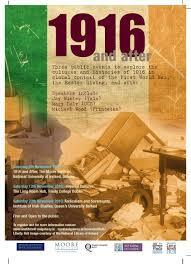 Great to see what the teachers are doing to make 1916 really come alive for children in a lively, intelligent context! Thank you Patricia! I will check out Molly’s Diary- looks great!